On Wednesday evening, February 24, I’ll be giving an illustrated talk for the Brooklyn Collection at the Central Library, 10 Grand Army Plaza, Brooklyn, NY. 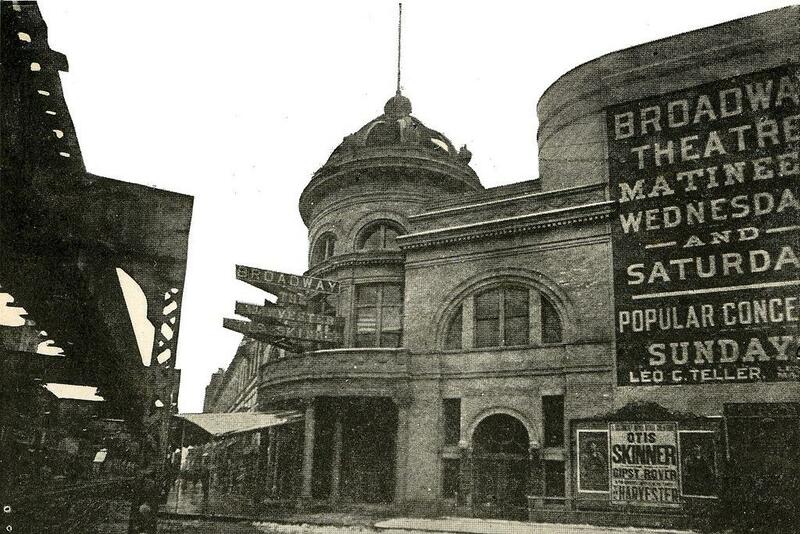 This talk will cover the legitimate theater, vaudeville and other live venues in the borough’s three entertainment districts: Fulton Street, Eastern, and Coney Island . The movie house will have to wait till April. The Collection tells me that things may get crowded with seating at a premium. So arrive early for the wine and cheese at 6:30pm. The presentation begins at 7pm. For more information call the Brooklyn Collection at 718-230-2762. This entry was posted in Theatre and tagged Brooklyn, Brooklyn Theatre, Education, Entetainment, Performance, Talks, Theatre, Theatre Talk. Bookmark the permalink.